A Local poker pro Chris Leong has won the title of WPT Borgata Poker Open championship, held at Borgata Hotel Casino &Spa. Leong collected the first prize of an amount $816,246. The $3,500 buy in event attracted 1,171 players, out of which top 110 player paid out. Chris Leong played really well at the final table of remaining top 6 players and defeated Rafael Yaraliyev, another pro who got his share of an amount $487,288. Inspite of players like Joe McKeehen (WSOP main event champion) and Yevgeniy Timoshenko (WPT Champion club member) playing at the table, the local boy Leong did really well and beat the title. The defending champion Aaron Mermelstein could not made himself through to the final table and finished for 19th place with an amount $16,868. The first elimination from the final table was of Matthew Wantman who finished for sixth position and had his share of amount $166,803 with him. Just after him Yevgeniy Timoshenko got busted at fifth place and added an amount of $206,160 to his account. 1st:-Chris Leong was the first prize winning with $816,246. 3rd:-Liam He booked for third spot with an amount $297,995. Before this prestigious tournament, Leong all time money earning was $378,722 playing at various poker tournaments of which he won $66,171 at Phamous Poker Series $100K Maker back in the year 2015. 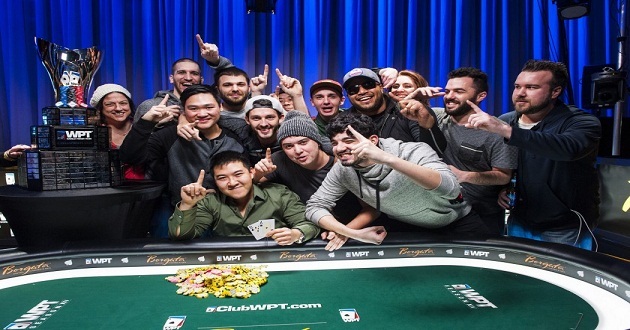 This winning gives Leong an entry to the prestigious WPT Tournament of Champions as well. He also received a world poker tour borgata Poker Open Trophy and collected the first prize of $816,246. The final hand of the game took place in between players Chris Leong and Rafael Yaraliyev.